Every month, Upper Deck will spotlight one of our valued collectors to showcase their collection. 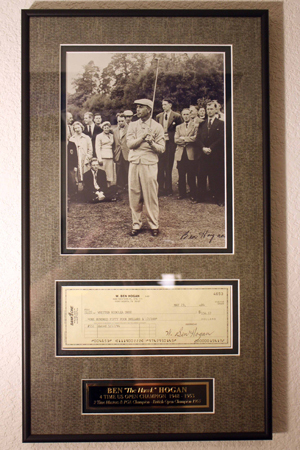 The great thing about sports collectors is that they are all very different in what they collect, how they collect items and what they do once they have them. This month we spend some time with a Rocky Mountain Super Collector named Gabriel D’Arthenay. 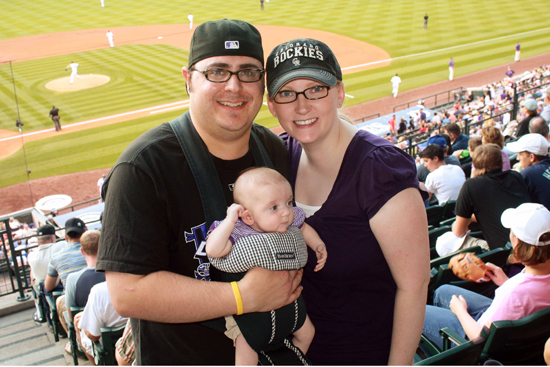 I have been an avid sports fan all of my life growing up in Denver, CO and rooting for all of the home teams. My passion became Denver Broncos football. I started collecting at a young age, but my collection has really taken off over the last five years in particular. 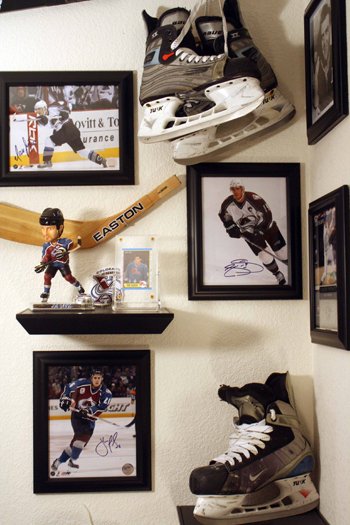 I started purchasing memorabilia for my sports room that included autographed items and game-used items from all sports. 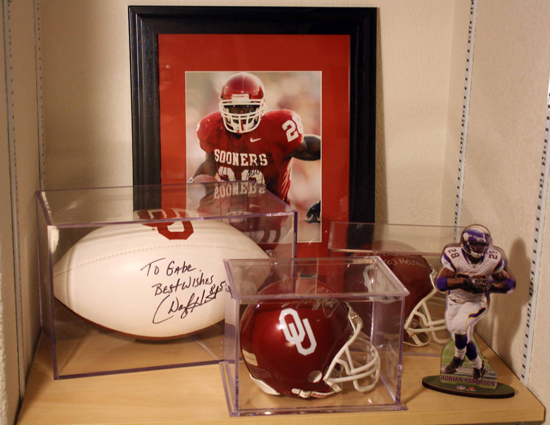 While I am very loyal to my Colorado teams, I also have a passion for Oklahoma Sooners football collectibles. I have been able to acquire a nice assortment of game-used jerseys and equipment from all of my favorite teams. Most of the cards shops in my area are pretty good about bringing in guest athletes, so by attending those events, I’ve been able to amass quite a collection of autographs. 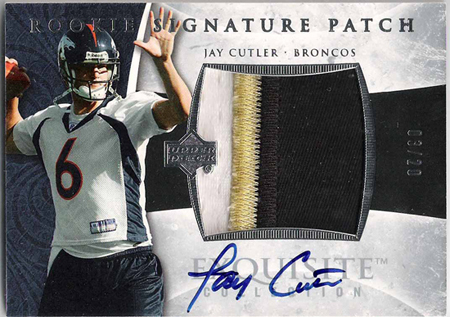 I became a Jay Cutler collector when the Broncos selected him in the first round of the 2006 NFL Draft. 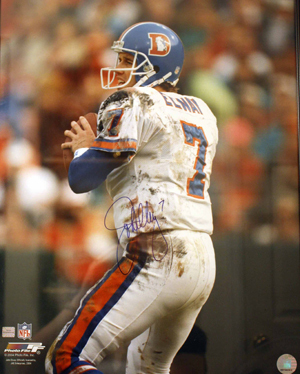 Bronco fans had been waiting for the next coming of John Elway and I was certain Jay was that guy. I focused mainly on all of his rookie cards which were mostly autographed. My prized possessions include the higher-end rookie autograph cards released by Upper Deck. I found the holy grail of my collection last year at the National Sports Collectors Convention in Chicago. 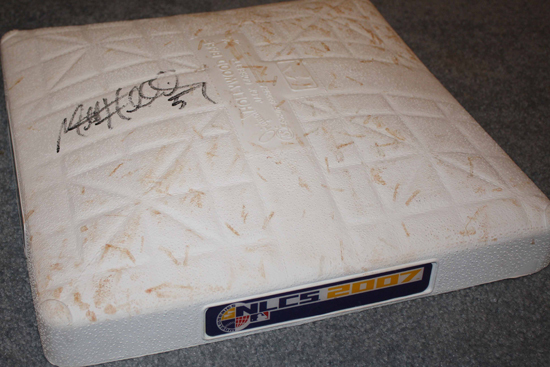 I purchased a 2006 Exquisite Collection 3-color patch autographed rookie card #d to 20. This card is by far Jay’s best and most valuable rookie card. 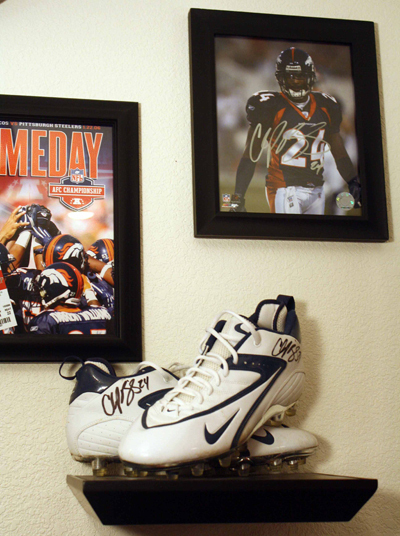 Currently I own over 80 Jay Cutler autographed items. I was disappointed when Cutler was traded to Chicago, but I still believe he will become one of the better quarterbacks in the league. I decided to hold on to my collection in hopes that it will continue to gain value over time. 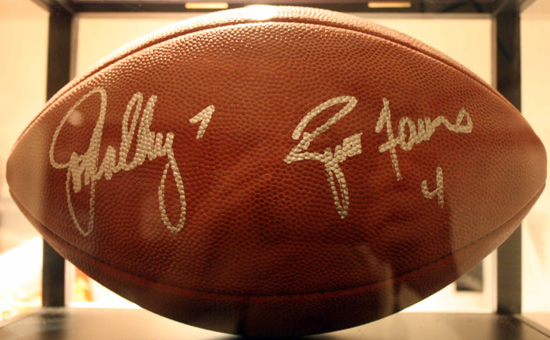 Besides Cutler, some of my favorite pieces include items signed by John Elway, Brett Favre , Champ Bailey, Adrian Peterson, Joe Sakic, Wayne Gretzky, Mickey Mantle, Joe DiMaggio, Tiger Woods and Ben Hogan to name a few. 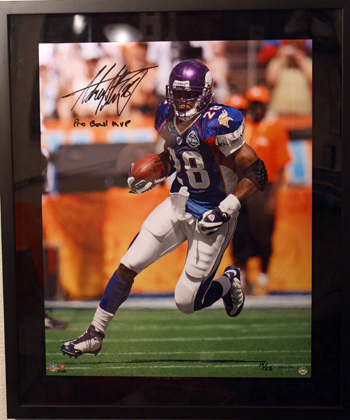 I started to exclusively purchase Upper Deck Authenticated items which include pieces signed by Adrian Peterson, Peyton Manning and Tiger Woods. 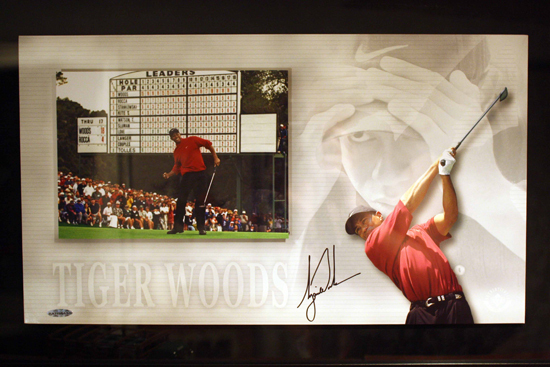 UDA is a trusted source of memorabilia and has a selection of the best athletes from the major sports. The best part is you know that you’re getting the real thing. I am excited about sharing my hobby with my children as they get older. This will all belong to them someday so I hope they will enjoy it as much as I do. Collecting is a passion and it takes a special drive and commitment to create a truly valuable collection that can be enjoyed across many generations. Sharing my passion with my family, friends and now all of you through the Upper Deck Blog is really special. I hope you enjoyed taking a look, especially my fellow Broncos fans! Upper Deck Celebrates the Adorable Chicago Native, Manny the Frenchie, with a Trading Card Set and Meet & Greet at the National Sports Collectors Convention! Thanks for showing us your passion for all the sports you share with your family and now the world.